The Webb Ellis Cup is making an early stop in South Africa ahead of Rugby World Cup 2019 and Land Rover is giving Springbok fans a rare opportunity to see rugby’s ultimate prize in person. As part of a whirlwind Trophy Tour which will see The Webb Ellis Cup visit 20 nations around the world before Rugby World Cup 2019 kicks off in Japan this September, Land Rover has arranged a whistle-stop visit for the famed trophy in Mzanzi. 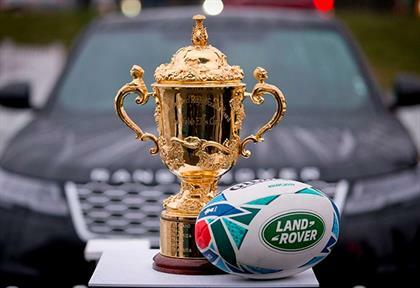 The Webb Ellis Cup will be chauffeured during its stay in Land Rover vehicles under the watchful eyes of its handlers. Fans will get a chance to see and have photos taken with the actual trophy at the trophy-viewing event on Saturday, 16 February, between 12pm and 4pm at Loftus Park adjacent to the Loftus Versveld stadium in Pretoria. Fans only need to arrive and visit the Loftus Park centre court area near the big screen which will air the live match between the DHL Stormers and Vodacom Bulls on the day. "Land Rover understands the passion South African rugby fans have for the sport and we’re proud to be able to bring The Webb Ellis Cup to the people," says Tina Pienaar-Smit, Sponsorship Manager, Jaguar Land Rover South Africa and sub-Sahara Africa. "We know there are many rugby fans who will never get a chance to be this close to the trophy, so this opportunity will be a once-in-a-lifetime experience," she added. The Webb Ellis Cup began its world tour on 10 November 2018 when it left the World Rugby Hall of Fame in Rugby, England – the birthplace of the sport. Since then it has visited Hong Kong, China, the Philippines, India and Nepal. From South Africa it will continue making stops in the USA, Canada, Brazil and Chile among other destinations in the lead up to the first ever Rugby World Cup in Asia. Rugby World Cup 2019 will kick off on 20 September in Tokyo and wrap up with the final on 2 November in Yokohama. South Africa will face Namibia, Italy, New Zealand and Canada in the pool phase with the first Springboks’ clash scheduled for 21 September against New Zealand. Land Rover, which is a Worldwide Partner of Rugby World Cup 2019 and South African sponsors of the Springboks and DHL Stormers, is committed to being the number one automotive brand in rugby. 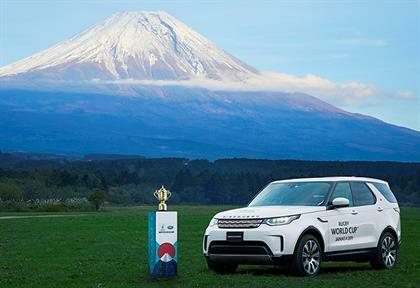 Its shared values, heritage and involvement, from grassroots level to the ultimate stage in Japan, mean no brand understands the spirit of rugby like Land Rover.